Blast Zone! Is an action packed bombing game from Kabam, the company that brought other mobile game titles such as Dragons of Atlantis and Kingdoms of Camelot. 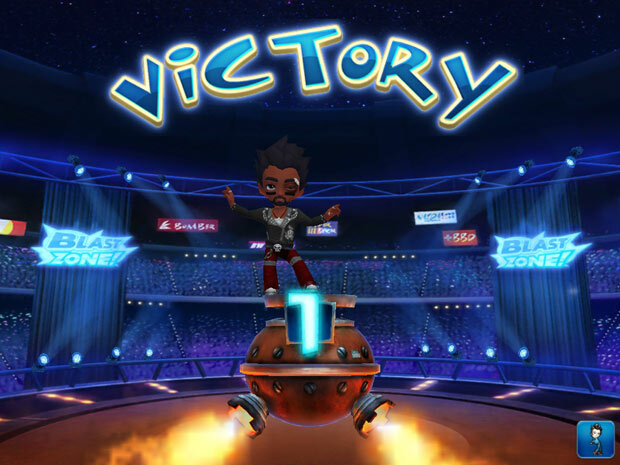 The game revolves around participants for a game show that puts you at odds with other bombers for a high octane match of cat and mouse in instanced arenas against the AI or other players. 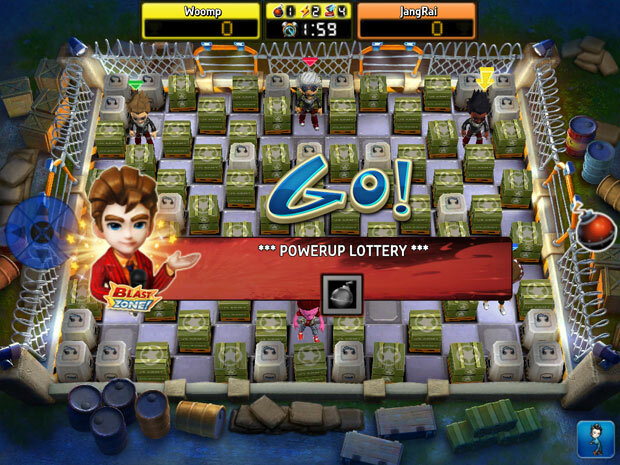 The game is highly reminiscent of the already classic game Bomberman where your avatar can drop bombs inside square arenas that are littered with blocks that you can destroy. Bombs are immediately activated once they are deployed which you can use to blow blocks up and blow your competitors away. You can improve your inherent abilities in matches as you acquire avatar or bomb upgrades that pop out in destroyed blocks in matches. The game has two modes of play where you go through the solo-player campaign modes where you’ll be facing against various unique AI monsters in thematic arenas that have specific goals set to push forward. Multiplayer mode on the other hand practically just sets up you in a room with five other players playing against each other in deathmatch style bombing. On paper it doesn’t seem like much does it? I mean it’s fun playing around bombing each other to kingdom come but what’s the appeal to keep you playing? Well, the game ups the ante, Bomberman style, by allowing you to upgrade your bombs midmatch by picking up drops that appear randomly as the stage slowly gets destroyed. 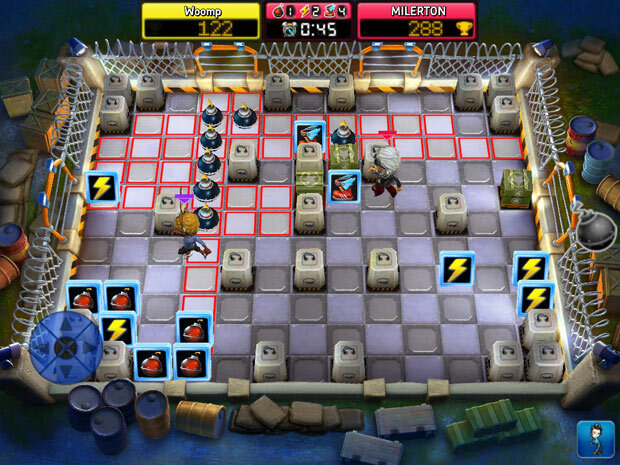 Both blocks and opponents have a chance to drop upgrades as they explode. 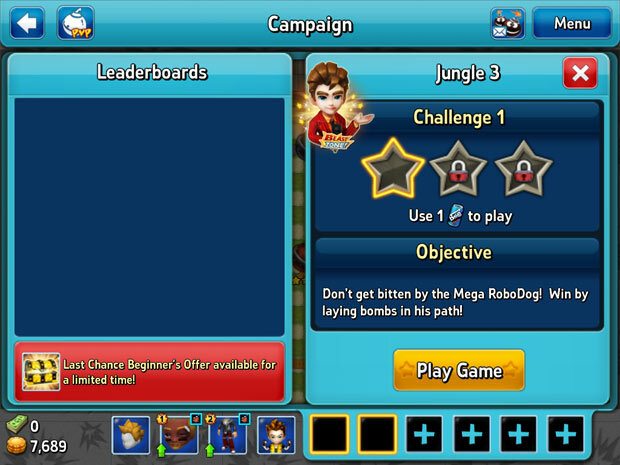 That’s right, you can in fact increase either the amount of bombs you unload at a time or even increase your bomb’s blast area as you acquire all these match-locked upgrades in the arena. Upgrades also include some avatar centric ones such as the ability to pick up bombs and toss them over blocks or people. Another notable power-up involves going ghost mode, allowing you to pass through bombs and other obstructions without worry for collision detection. The bomb kick ability is ideal for turning the tides on foes by sending their own weapons flying back into their face. Upgrades provide the tactical advantage over your opponents to catch them off guard long enough to score first blood. They aren’t only integral in your matches but are in fact entertaining enough to make you feel like you’re in a Michael Bay film blowing everything to bits. Aside from the explosions in the matches you are in, another game element that takes the cake in Blast Zone! is the inclusion of fashionable attire that doubles as your bonus stats as you fight fashionably. These clothes vary from Jock themed attire to gritty grunge looking clothes that provides the necessary appearance to set yourself apart from the crowd. Beyond just looking shiny, these clothes can be pretty functional in the chaos to make your character flashy enough to not disappear in the chaos of explosions. Losing track of your character is the fastest route to getting blown up! This is where the money making business model of Blast Zone! comes in. A lot of the clothes you can purchase in-game are easily obtainable through the usual means of going through the game’s campaign mode or the daily drops. But a lot of the better looking fashion items require you to purchase the game’s premium currency. While most of them are cheap – the really cool looking fashion items requires a whole lot of financial commitment from you. The one good thing about the paywall being primarily focused on fashion is it prevents the game from becoming too pay to win. 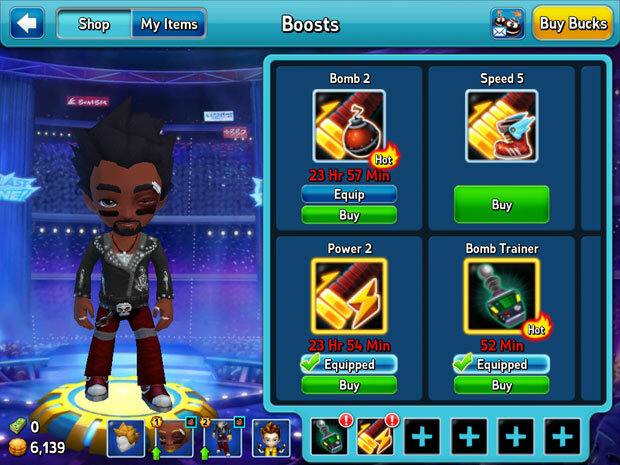 Sure you can purchase bomb upgrades to get an edge in battle, but at the end of the day, it’ll be your bombing skills and positioning, not your fashion sense, that dictates who will win. So moving on to the game’s bread and butter, PvP. You need to either create your own room or join another player’s room to join part in real-time six man deathmatch battles. Everything is on the table in PvP as you use your tactics, bomb upgrades (including your fashion bonuses) and past experiences to see if you have the luck and finesse to be the last bomber standing. The battles are fast-paced and exciting. As more upgrades drop, the battles become more explosive, escalating into fiery finishes. The diversity of upgrades available are quite entertaining, and can push your mental limits reacting and counterplaying anything your opponents may throw your way. Just don’t mistake Blast Zone! as another twitch game. Strategic positioning and proper use of your upgrades is just as important as knowing when to run and when to fight. All in all, I must say that I truly enjoyed my run with Blast Zone! It’s Bomberman all over again, a title that kept my group of friends spellbound afternoon after afternoon with its zany multiplayer element that never gets old. However, the thing is, playing Blast Zone! feels so much like Bomberman that I can’t shake the feeling that Blast Zone! is just a reskinned Bomberman clone, since a lot of the game’s features pretty much comes directly from or has a Bomberman equivalent. That said, I wouldn’t really look too much into that since there hasn’t been a Bomberman game released on mobile and Blast Zone! just covers that absence. 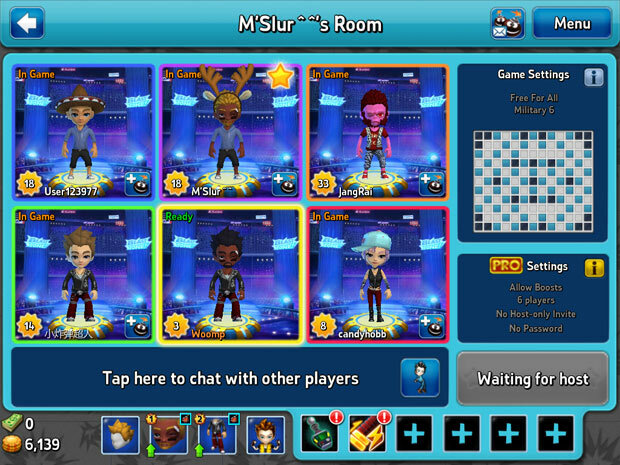 The game is solid, fun, and really enjoyable, and its cash shop elements don’t hinder the party too much either. The sheer replayability of the game matches the Bomberman legacy as your skill, more so than your gear, is what will develop you as a player over the long run. My only gripe with Blast Zone! is the virtual controls since it tends to move after having your finger over it for extended durations. They need to do something about that since I’ve lost a lot of matches because suddenly my direction pad would move up or down at key points during that match when I needed a critical manoeuvre to pull off victory. eigoMANGA will showcase the SteamOS beta version of Vanguard Princess at the Evolution 2016 Championship Series (Evo 2016).